Hot off of revolutionizing ground-based transportation with the electric car company Tesla and proposing to revolutionize slightly-above-the-ground-based transportation with the Jetsons-esque Hyperloop, eccentric billionaire genius Elon Musk (of PayPal fame) appears to believe he has risen above the law. Or rather, he believes his Space Exploration Technologies Corporation (SpaceX) Grasshopper rocket has risen above the law. Ok, so the Grasshopper rose, but 250 m is still legally within World Chess Federation jurisdiction. What was this brazen defiance of international norms? On August 9, Musk's engineers fired his 10-story SpaceX Grasshopper rocket, moved it a tenth of a km horizontally, and then placed it back on the exact same landing pad where it began. As anyone who has played rocket chess knows, the touch-move rule means that once you touch the big red button that fires your rocket, you must make a legal move with that rocket. Replacing the rocket on the same landing pad, especially after moving 100 m sideways, is a clear violation of international rocket chess tournament rules. 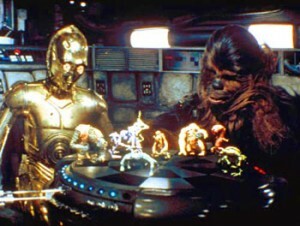 The touch-move rule is the 2nd most important rule of rocket chess, preceded only by "Let the Wookiee win." Chess rule-breaking aside, it would be rather difficult to overstate how impressive this demonstration was. SpaceX is attempting to create a fully re-useable rocket ship, which the company claims could cut the cost of space travel by up to 99%. True, the late space shuttle returned home in useable condition, but the actual rockets it needed to get to orbit were jettisoned into the ocean (not currently serviced by UPS pickup), and its external fuel tank burned up in the atmosphere on every flight. With its Falcon 9 Grasshopper vehicle, SpaceX is trying to make a rocket ship that just needs to refuel (and perhaps get a quick once-over from Scotty) between flights. This wouldn't quite be the one-piece Millenium Falcon - like the space shuttle, its booster rocket would separate after spending most of its fuel so the capsule wouldn't have to carry it around as extra dead weight. Unlike the shuttle booster, however, the SpaceX rocket stage would come back to Earth under its own power and make a controlled, vertical landing back on its pad, reuniting with the Dragon capsule stage after that, too, made a controlled landing. That all sounds great on paper, but it would require some pretty deft maneuvering for a 10 story obelisk. And that's exactly why this demonstration was so impressive.